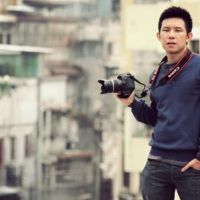 Additional Info: Bringing with him seven solid years of travel-photojounalism experience, coupled with another three years of weddings and personal portraits exposure, the principle photographer of heartpatrick injects passion into each and every one of his creative portrait assignments. Often featuring a strong storyboard that draws inspiration from the colourful urban backdrop, every portrait album is a unique, custom-made piece of art. Combined this with a detailed post production stage that features the heartpatrick signature colour-processing and album design style, you're in for a visual treat that is guaranteed to stick on for a very long time.